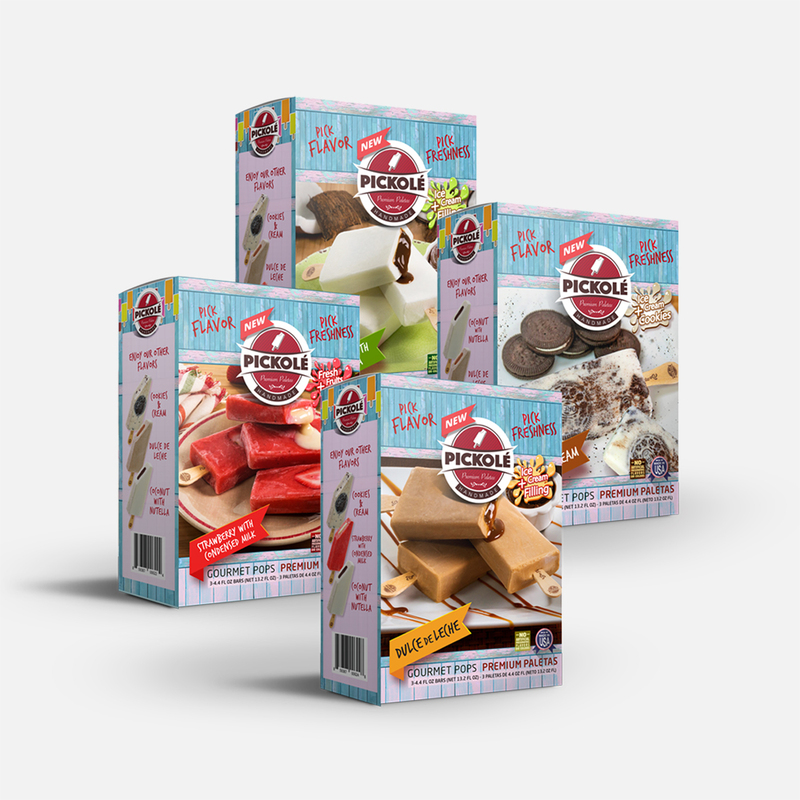 Pickolé Premium Bars into boxes containing 3 Bars of 4.4Oz each. This box is perfect for a gift or for supermarkets freezers. $3.40 per paleta. Minimum buy of 12. Shipped in card box filled with dry ice.